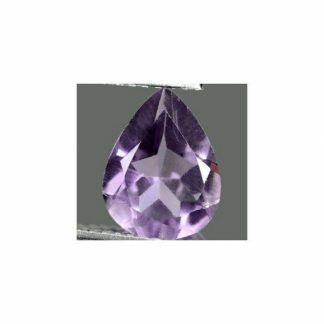 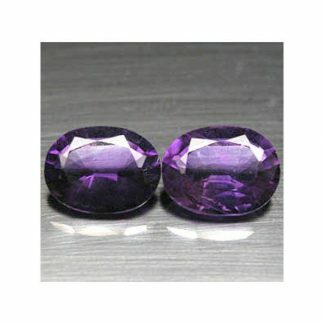 Natural and untreated color change Amethyst loose gemstone with an intense purple color, with strong saturation and medium dark tone. 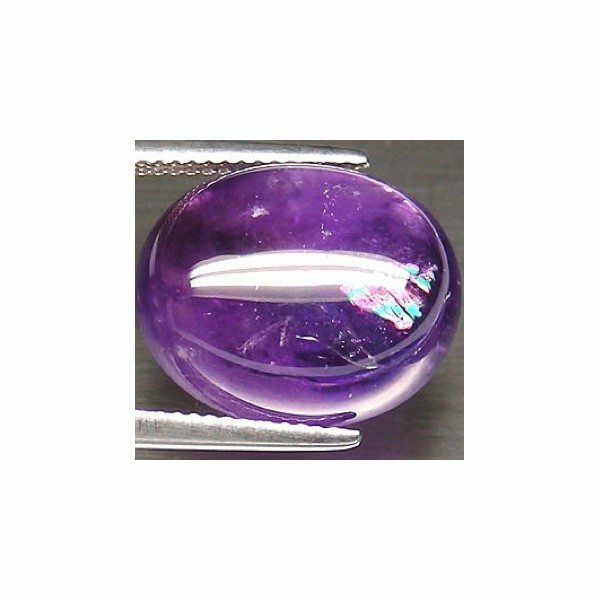 This beautiful amethyst comes with oval shaped cabochon cut, traslucent clarity with a clearly internal fracture healed inclusions that show a raimbow effect on the surface of this stone. 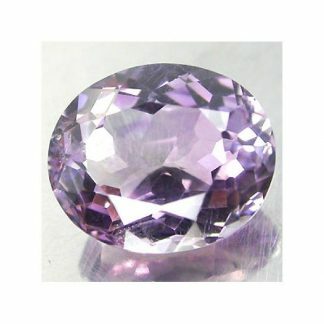 This kind of amethyst show a light color switch, from dark purple in natural light, to bright violet pink under incandescent light. 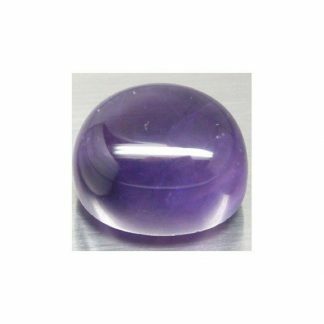 Color change optical effect in amethyst is a rare properties so don’t miss this attractive purple gemstone offered at a very affordable price on our online gem store. 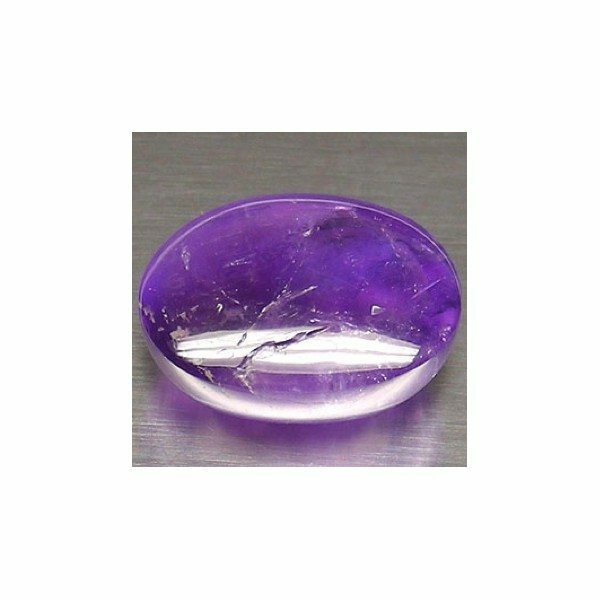 This natural colored gemstone would be the perfect stone to fit an elegant and exclusive jewel like a pendant or a ring, casted with precious metal. 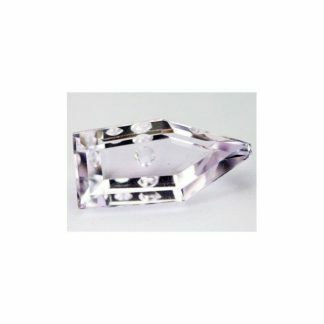 Size: 16.9 x 13.8 x 9.1 Mm.